Greetings from Notre Dame Preparatory School and Marist Academy! Your interest in our school shows how much you value your education. The faculty and staff at Notre Dame, which serves boys and girls from age 3 through 12th grade, share that same value. With God we form Christian People, Upright Citizens and Academic Scholars. No matter your current age or grade, the schools of Notre Dame are committed to preparing you for lifelong success. But with so many choices, how do you know Notre Dame is the right place for you? In other words, above all other schools in Metro Detroit and outlying communities, why Notre Dame? – you are unique. What could be better than going to a school where you can be you? You are extra special, and we consider our school to be extra special, too! Depending on your perspective, you might find these things about us to be distinctive: we are Catholic, we are Marist, we are college-prep, we are co-educational, and we are an authorized International Baccalaureate (IB) World School. 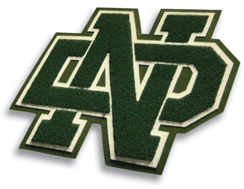 In fact, Notre Dame is the only school—private or public—in the state of Michigan to offer all three levels of IB programming to students in Junior Kindergarten through Grade 12. Notre Dame is unique, and we are fully prepared to recognize that same truth about you. – you are ready for a challenge. Whether as an Upper Division student you wish to pursue the IB Diploma, take any of the 15 Advancement Placement classes we offer, explore Honors-level courses, or go through our traditional curriculum, you will gain exposure to college-level work and college-style learning from Day 1. The result? We expect you will be very attractive to college admissions officers; they will know that you are prepared, and they will know that you will stand out when you arrive on their campus. – you are engaged. At Notre Dame you will be invited to be an active and analytical participant in your education. You will get every opportunity to think critically, reason sensibly, discuss openly, create inventively, and collaborate effectively. You will own your experience and make it what you want it to be. – you are multi-dimensional. You like reading Shakespeare, but you also like solving for ‘x.’ You like to draw, but you also like to perform dissections. Doors of learning opportunities will open for you at Notre Dame, which offers a variety of classes to stimulate your mind. Consider this sampling from our Upper Division: Accounting, Anatomy, Astronomy, Ceramics, Chinese, Computer Aided Design (CAD), Chamber Choir, Digital Photography, Film Studies, Law, Mythology, Moral Issues, Music Theory, Forensic Psychology, Spanish, Sports Medicine, and Symphonic Band. No matter your academic interests, you can find what you’re looking for at Notre Dame. – you are active. You’re an athlete. Or maybe you’re a singer. Or maybe you’re a photographer, or a horseback rider, or a budding engineer. More than likely, you’re more than one thing, and we love that about you! In Notre Dame, you will find a school that is big enough to offer multiple and varied opportunities for you to grow in sports, fine and performing arts, extracurricular clubs and competitions, yet small enough for you to shine in whatever you choose to do. – you are a faithful servant. As a Catholic student, your experience at Notre Dame will strengthen your relationship to God and deepen your understanding of your faith. If you practice a different religion, you still can find a home with us, as we introduce to you the Church’s history, theology and moral teachings. All are welcome at Notre Dame, especially those who are willing to share their gifts in service to others in need. – Will I fit in? – Will I stand out? – Will I be challenged? – Will I have fun? Those students found Notre Dame, and found themselves in the process. We hope you will do the same.